Then unsigned, the waitress turned singer-songwriter scored a smash with ‘Jar of Hearts’, a track which grew legs and ran. 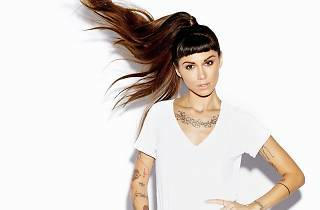 Like Alanis Morisette, Jewel, and Sarah McLachlan before her, Christina Perri broods with love, loss, and lessons; in the grand scheme of things, we suppose a bit of pop-powered navel-gazing never hurt anybody. She returns to KL this March for her ‘Head or Heart’ tour, in support of her second studio album. Get your tickets by Dec 31, 2014 to get 15 percent off all prices.